We interviewed several services and were most comfortable and impressed with L&G. For our first clean we opted to do a “Deep Clean” as the house had been neglected for a while and we wanted to start the bi-weekly rotation from a good place. It was a fair price ($320). The results are outstanding! L&G did an amazing job! It looks - and feels - so much better and they have been an absolute pleasure to work with - professional, personable, on time... and they send a text to remind you of the visit. I’m thrilled we found them and think I’ve finally found our “forever” cleaning service. What a great feeling to read this beautiful words. . It's a pleasure for us to have the opportunity to present our service to you and build a long term realationship. We are here to help you make your life easier! L&G Idol Maids has provided me with cleaning services since 2015. The ladies always arrive in a prompt and friendly manner. The quality of their cleaning services is as consistent and impeccable since day one. Our home is always left sparkling clean and smelling fresh. They even go above and beyond with their little touches of folded toilet paper and little fans throughout the house. Your professionalism exceeds every other company out there. Thank You for the amazing cleaning services and special touches, never disappointed. Thank you very much for the kind words.It's always a pleasure to work with you and for you. Thank you for the opportunity. We are here to help you make your life easier! Geidy & Lisandra are two angels who are extremely thoughtful and generous with their time. 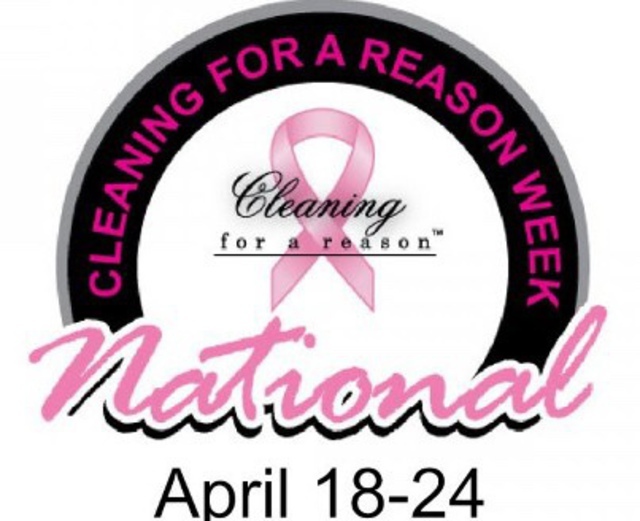 They are part of "cleaning for a reason" and volunteered their time to clean my house. This means a lot to me especially since I am undergoing chemo treatment and sometimes have absolutely no energy. They are very customer oriented and wanted to make sure they met my priorities and did a thorough job. I am so touched by their generosity. Wonderful girls that brightened my day! I can't Thank them enough. I would highly recommend them..2 sweethearts! Thank you very much for you kind words. It's always appreciate. Just before my son’s wedding I requested a thorough cleaning of my house. L&G Idol Maids promptly responded to my request for a quote and were able to adapt to my tight deadline. They did an excellent job cleaning my home and were very thorough. My bathrooms and blinds and floors looked great! Thank you for the great job! Thank You very much Julia for your kind words. Your feedback is highly appreciated. We look forward to serving you for many more years.Thank you for being our valued customer! Thank you very much Modeh. We are glad to hear that our team cover all your expectation when delivery a cleaning service at your home. It a pleasure for us to work for and with you.We look to have you many more years. Your feedback is highly appreciated. We look forward to serving you for many more years.Thank you for being our valued customer! We offer Residential and Commercial Cleaning services such as a basic cleaning, post-construction, move in-out, deep cleaning, showing-pre sale services on the areas of, Vaughan, Richmond Hill, Aurora, Markham, Thornhill.